PDFfiller offers a library of over 25 million documents. Using PDFfiller, you can access the most important documents for almost any purpose, including taxes, real estate, insurance, healthcare, recruiting, and more. PDFfiller provides several options for finding documents including the PDF Search Engine, the Forms Catalog, and a collection of IRS Tax Forms. To use our PDF Finder, go to MY DOCS, click Add New Document and open the Search Document tab. To find PDF enter the document’s title or brief description and press Search. Finally, select your document from the search results and click Fill online to start editing. Another particularly handy search tool is the Forms Catalog. Go to our homepage, scroll down and use the catalog’s link. The catalog contains 20 categories. Select the one you need and find the form or template you are looking for. We have a special catalog of IRS forms because they are some of the most popular and important forms. To start searching the catalog, open the PDFfiller home page, scroll down and select IRS TAX FORMS. This is a catalog containing eight categories. Select the category you need and find the form you are searching for there. If you cannot pinpoint the category to which the form belongs, select All Forms to open the list of all the IRS forms. In addition, we have two more lists, TOP 100 FORMS and POPULAR SEARCH that we update on a regular basis. The document you are looking for could be there right now. What is PDF Search Engine? PDF Search Engine is the tool to help you find and access more than 10 million PDF documents and forms easily and quickly. You can simply enter a search query in the search engine box and find the form in our libabry. How do I find a form in your library of forms? Our PDF Search Engine allows you to search for documents and forms in our library of more than 10 million documents and forms. Simply enter in a search query, such as the name of the form, and click "Search" button. Can I find tax or other government forms? Of course you can. Just search for the name of the form in PDFfiller's search engine. You'll find tax or government forms in our library of more than 10 million documents and forms. You can also find some popular forms such as W2 or W9 forms in PDFfiller's Top 100 tab. Where can I find fillable PDF forms? You can search for and find more than 10 million PDF documents and forms using PDFfillers' PDF search engine. Simply enter a search query in the PDF Search Engine box and get the form you need. You can fill, edit, sign, download and print the form afterwards. Are there other ways, besides Uploader, to add documents or forms to my account? Yes. 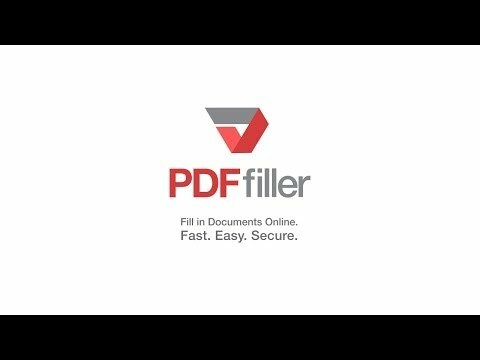 You can either use our PDF Search Engine to search our library of more than 10 million documents and forms, or email documents to your PDFfiller.com email address.